The EU Council has approved trade preferences for Ukraine. The IMF gave Kyiv a respite for land reform. The Cabinet reported on its work in the first half of the year. The prime minister instructs to equip the Hostomel Airport to receive aircraft of low-cost carriers. These are the main economic news of the outgoing week. The Council of the European Union this week approved the decision to grant Ukraine additional trade preferences. 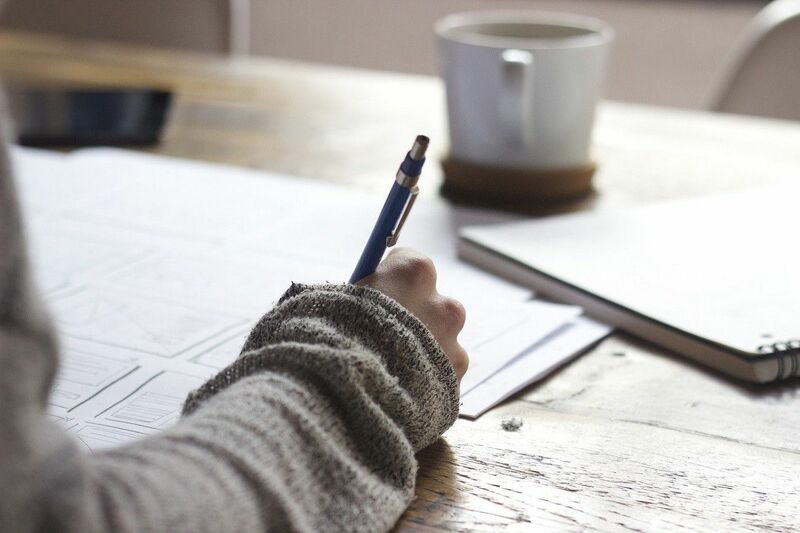 The adopted document provides for the introduction of additional quotas, allowing producers from Ukraine to import their products duty-free to the European market. Primarily, this concerns Ukrainian farmers: the EU is introducing an annual quota for duty-free imports of tomatoes (3,000 tonnes), wheat (65,000 tonnes), corn (625,000 tonnes), and barley (325,000 tonnes). In addition, it is expected to zero import duties on a number of industrial products: copper, aluminum, fertilizers, dyes, shoes, as well as equipment for TV and audio recording. Preferences will be introduced for up to three years, as a supplement to the Deep and Comprehensive Free Trade Agreement. The decision will come into force in the fall of 2017, it is expected that its economic effect will amount to about $200 million. In addition to strengthening economic relations with the West, Ukraine actively negotiated over the past week to deepen cooperation with its other partners. At the end of the week, President of Belarus Alexander Lukashenko and a delegation of representatives of his country’s authorities and businesses paid a visit to Ukraine. As part of the preparations for the visit, a meeting of the Ukrainian-Belarusian intergovernmental commission on trade and economic cooperation was held. Deputy Prime Minister of the Republic of Belarus Vladimir Semashko following the meeting said that Ukraine and Belarus in the next two years planned to increase their trade turnover to $7.9 billion by further developing cooperation. "We must boost our relations. The potential allows us to hope for the next two years to reach the record figures we had in 2012, when we had a turnover of $7.9 billion. There are both external and internal prerequisites to achieve this," Semashko said. According to the official, the principal direction of cooperation is production cooperation, which will develop both for domestic consumption and exports. "We should use the fact that Ukraine is in a free trade area with the EU, and Belarus is part of the Eurasian Economic Union," he said. Following the meeting, Deputy Prime Minister of Ukraine Gennady Zubko noted that Ukraine and Belarus will strengthen production cooperation, in particular, in machine building and agricultural machinery, they plan to develop rail transportation by a Viking combined train and ZUBR container train. Also, solutions will be worked out jointly for the expansion of the waterway transport capabilities at the Kyiv HPP - Nizhniye Zhary section, which is necessary for the passage of river-sea vessels. In addition, according to Zubko, Ukraine is interested in participating in Belarusian oil and gas projects. In particular, Ukraine is ready to supply equipment for processing, transportation and storage of oil and gas. Last week, Ukraine also agreed on the intensification of economic partnership and the deepening of the free trade area with its Black Sea neighbor, Georgia. "We agreed to intensify economic partnership, eliminate all barriers, coordinate tariffs, including rail, ferry transport, and deepen the free trade area," Ukrainian President Petro Poroshenko said during a state visit to Georgia last week. The parties expect to increase the annual trade turnover between the two countries from $526 million to $1 billion, as well as to intensify cooperation in organizing the deliveries of energy carriers from the Caspian region along the route of China's infrastructural project "Silk Road." In the aftermath of a scandal with the cancellation of Ryanair’s entry to the Ukrainian market, the Ukrainian government decided to create necessary conditions for attracting cheap air carriers. The Cabinet held a meeting of the special commission for the development of air travel and negotiations with low-cost carriers with the participation of Prime Minister Volodymyr Groysman. Following the discussion, the head of government announced his intention to make the Hostomel Airport, which is now the base for Antonov aircraft, the Ukrainian hub for low-cost carriers within a year. 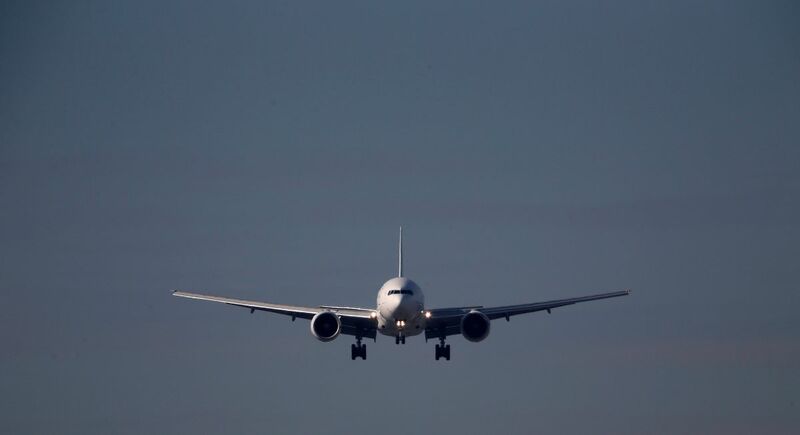 The commission members decided to continue the policy of actively attracting low-cost carriers to Ukraine - and not just one company, but several, to work out as an interim solution the provision of necessary conditions for such carriers at the airports "Boryspil" or "Kyiv" (Zhulyany) for a period of one year. During this period, "Gostomel" will be turned into the hub for low-cost carriers. Another condition for attracting low-cost carriers should be their entry to regional airports across Ukraine. The state-owned Antonov announced its interest in using its airfield in Hostomel for servicing low-cost carriers. The state enterprise noted that the airport has a category 1 ICAO Certificate, being able to receive aircraft around the clock throughout the year. The Cabinet of Ministers held two meetings this week. One of them was dedicated to the 100th anniversary of the Ukrainian government. 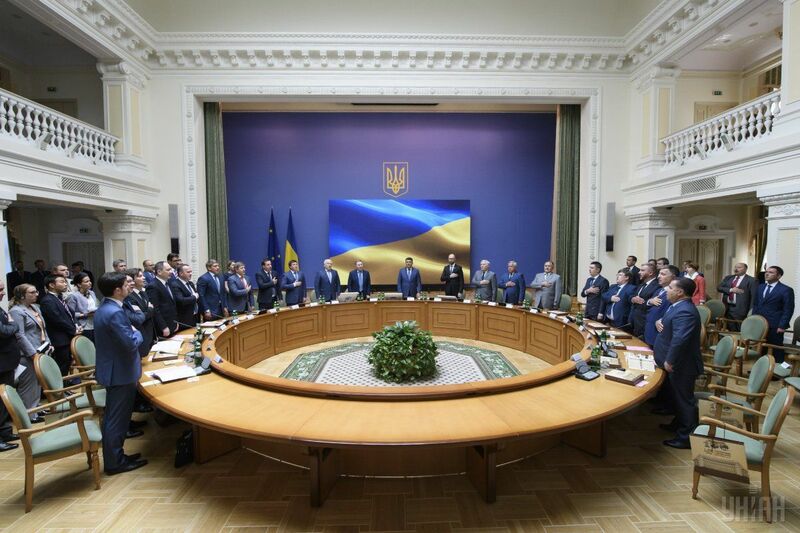 The setting up of a Council of Prime Ministers of Ukraine was approved, aimed at the resolution of strategic issues of the country's development. The second meeting dealt with a number of more pressing issues, in particular, a report on the work done by the Cabinet in the first half of the year. The head of government noted the positive dynamics of the ongoing changes and recalled that the growth of the economy in the first quarter of the year amounted to 2.5%, the average salary will exceed UAH 7,000, while the budget is overfulfilled by UAH 29 billion in terms of revenues. "This work can be called a major overhaul of the country," said Groysman. “Economic growth for the first quarter is at 2.5%, real wages increased by almost 20%, average wages increased by 13%, to UAH 6,840, and in June-July it will exceed UAH 7,000. Capital investments in January-March increased by 20%, the volume of exports of goods from Ukraine increased by 25%. The budget was overfulfilled (in terms of revenues) by UAH 29 billion, while we had a deficit (a year ago). This shows that the economy is getting healthier and an actual de-shadowing is ongoing." According to the prime minister, the active road construction and repair, started in April, allowed to carry out road works along 372 km of Ukraine’s motorways. According to the report, the government began integration of the Ukrainian united energy grid into the European ENTSO-E energy system, introducing mechanisms for the functioning of the electricity market, completing the development of Ukraine’s Energy Strategy until 2035, and also taking necessary steps to increase own gas production. In the first half of 2017, 9.7 billion cubic meters of gas was produced, that’s 360 million cubic meters more than last year. Groysman also said that this year the government is allocating UAH 730 million for energy efficiency loans. In the second half of the year, the Cabinet will focus on following key priorities: the full-fledged launch of the pension reform, the adoption of the law on education, the completion of the concept of land reform in the interests of Ukrainian farming, and the adoption of health care reform. 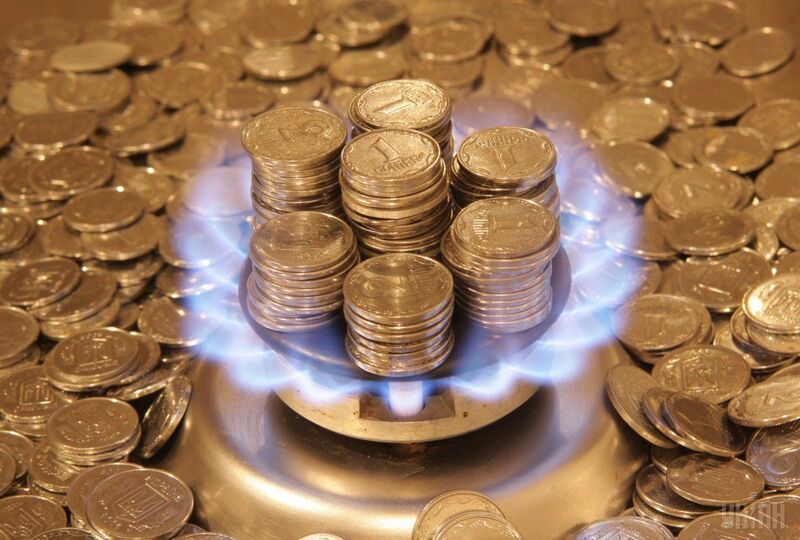 The government discussed the financial plan of Naftogaz of Ukraine. The Cabinet did not approve the increase in the cost of gas, which would have led to an increase in the price of blue fuel for the population to 19% from October 19. Energy Minister Ihor Nasalik told journalists that there are also disagreements in the presented financial plan in terms of its balance. "There are many other comments - the growth of costs does not correspond to the growth of incomes: 49% is the growth in costs and 39% - in revenue growth," said Nasalik. Meanwhile, Naftogaz said that they had not offered the government to raise the price of gas for the population, but only used a calculation formula that had previously been approved by the Cabinet. According to the company management, the gas price for the population should be calculated based on market prices for the previous periods, which is "a purely mathematical matter." The International Monetary Fund said that carrying out the land reform that provides for the launch of the farmland market in Ukraine is no longer a condition for the country to receive the next tranche of the loan. Land reform is an important part of the EFF program, but there is a need to refine it and reach a consensus on key future steps, therefore there is a need to postpone the land reform for a later date this year, that’s according to IMF spox William Murray. At the same time, the IMF speaker stressed that the conditions for allocation of the fourth tranche to Ukraine remain pension reform, acceleration of privatization, and concrete results in the fight against corruption. Murray added that the continuation of fiscal reform and the reform of the energy sector were also important as part of the fourth revision of the cooperation program. The National Bank explains the need to postpone the land reform by the fact that Ukraine has not yet chosen the ideal model of the land market, as well as by the fact that carrying out more important reforms is of top priority. As part of the third revision of the cooperation program with the IMF, Ukraine undertook to adopt land reform by the end of May, and the pension reform - until the end of April 2017. However, the pension reform was adopted by the parliament in the first reading only in the middle of July, while the Verkhovna Rada has not even started considering the draft laws on land reform. According to the schedule of the implementation of the economic program of Ukraine, approved by the IMF Executive Board, by the end of 2017, three revisions were planned. In case of successful fulfillment of the established requirements, Ukraine can receive three tranches for a total amount of about $4.5 billion. Next week the State Statistics Service will publish data on the average salary in June, while the Ministry of Finance will report on the state of the country’s external debt.